This is the Argyle Apple Falling Eucalyptus Polyester Shower Curtain. 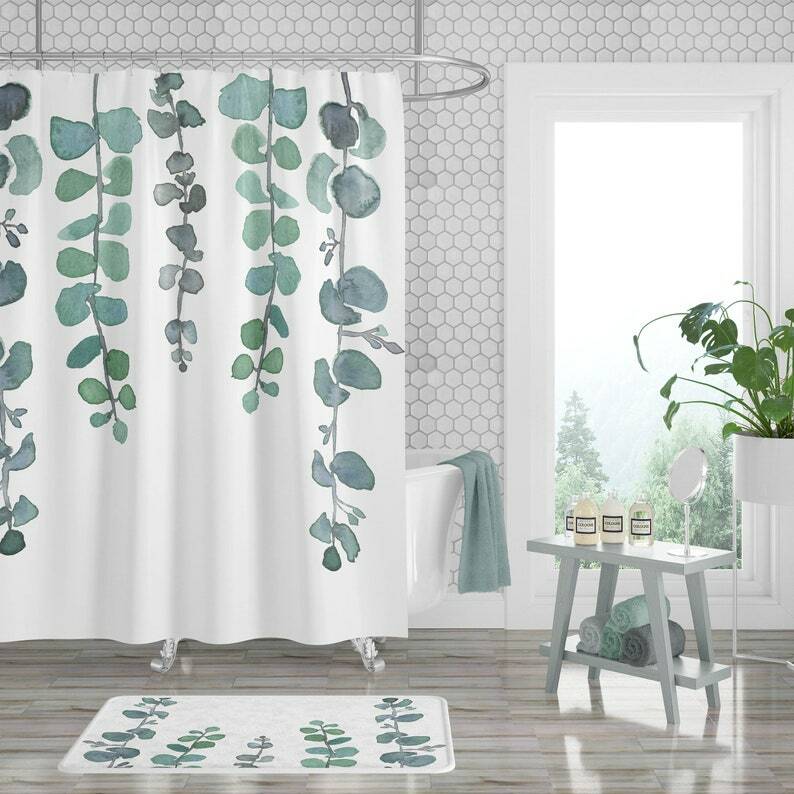 It is a sturdy, yet light weight, water-resistant, bright white, polyester shower curtain printed on the front with a dreamy design of falling watercolor eucalyptus in cool greens, grays, and blues. The extremely durable fabric retains its shape and dries quickly. This shower curtain would be an absolutely gorgeous addition to your favorite bathroom. You will make your bathroom a place of relaxation and calm - a place you love to draw a bath, slip into the warm embrace of the water, and unwind. Create a place you love to be in, and feel proud when guests come - everyone will want to see and admire your haven! -To clean your shower curtain, machine wash on cold with like colors. Tumble dry low. Do not iron. Do not dry clean. -This shower curtain has a unique, hand painted watercolor design, designed by me, Jillian Anderson. 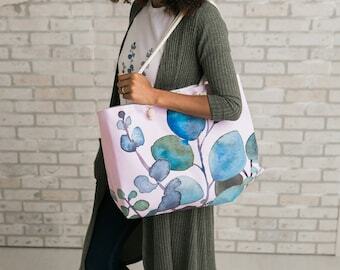 While I designed and painted the eucalyptus, it is printed with ink using a sublimation printer by my production partner through Printify. They will print your shower curtain and send it right to your door! -You will receive one shower curtain, no hooks included.